The Home Entertainment wheel has turned yet again and this week's most interesting options turn away from Blu-ray (like the last Guide) and back to Netflix and On Demand, except for one great Scream Factory release, for which we have brought in a special expert to convey its virtues. Let's start with On Demand. Netflix had a huge wave of new titles added on August 1, 2014, representing a very diverse array of films. Foreign, action, recent releases, fan favorites--I tried to pick a bit of each for ten films that you may want to add to your Netflix queue. Go through and re-read our reviews, many of them by Roger, and you can add them to your queue directly from the review on the left-side menu. "The Blacklist: The Complete First Season"
"Community: The Complete Fifth Season"
Two NBC programs get the requisite home release treatment this month, and we won't often dip into this crowded pool of potential purchases but these are two of the most talked-about programs of 2014 and so we thought them worth sharing. 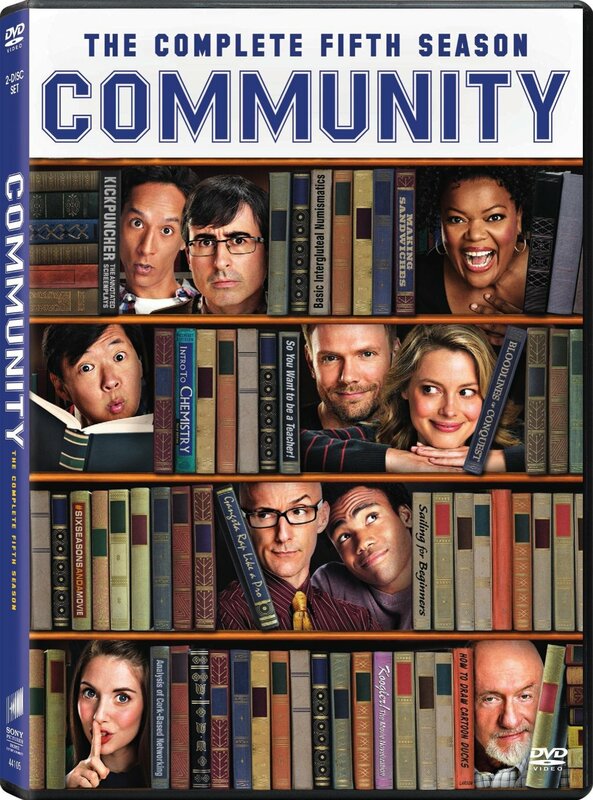 After five seasons of trying and failing to break out of its loyal cult audience ratings, "Community" was finally given the axe by NBC. However, dreams of "six seasons and a movie," an in-joke that turned into a rallying cry, wouldn't die. And so the show has been revived by Yahoo. After the fourth season, I would have said that was a VERY bad idea. The season after which NBC stupidly thought losing creator Dan Harmon was what the program needed, it was at its creative low point. Season four is BAD. And I didn't think the show could bounce back in season five. I was wrong. The 2014 season of "Community" ditches Chevy Chase for Jonathan Banks (upgrade) and brings Harmon back into the fold to give it more creative energy than ever. I'm nervous about Yahoo but this season proves that there's hope. "The Blacklist" was one of the very few new hits of the network 2013-14 TV season, thanks mostly to James Spader's ridiculously charismatic performance as the Hannibal Lecter of the spy world, a man who knows everything about everything but is also something of a sociopath. It's not the best-written show on network TV but it is immensely watchable, a nice diversion on Monday nights after a long day at work. I expect it to do just as well in season two. Catch up on Blu-ray and DVD first. Executive Producer Commentary on the Pilot episode, "Anslo Garrick Part 1" and "Berlin: Conclusion"
22 Episodes of "Beyond the Blacklist"
"The Adventures of Ichabod and Mr. Toad/Fun and Fancy Free"
Disney reaches deep into the vault for a wave of five Blu-ray/DVD/Digital combo releases for films that don't quite have the devoted fan base of "The Lion King" or "Sleeping Beauty." When films like that are getting the Blu-ray treatment, and "Sleeping" is getting a BD re-issue in October, they stand alone on the New Releases shelf, accompanied by lavish advertising campaigns. For films that didn't quite connect in the same way or don't produce the same degree of nostalgia, they're often released in waves, such as the series of five Blu-rays that hit stores this week. However, just because these aren't box office smashes, doesn't mean they should be ignored. In fact, there are a few films in here that were beloved in my household at one point or another. I remember fondly watching "Bedknobs and Broomsticks" as a kid; I thought "Hercules" was a wildly underrated installment in the renaissance of the company in the '80s and '90s; and I love the more obscure Disney oddities like "Fun and Fancy Free" finally being available in HD. These may not be the best of Disney but they're certainly not the worst. Pick your favorite. 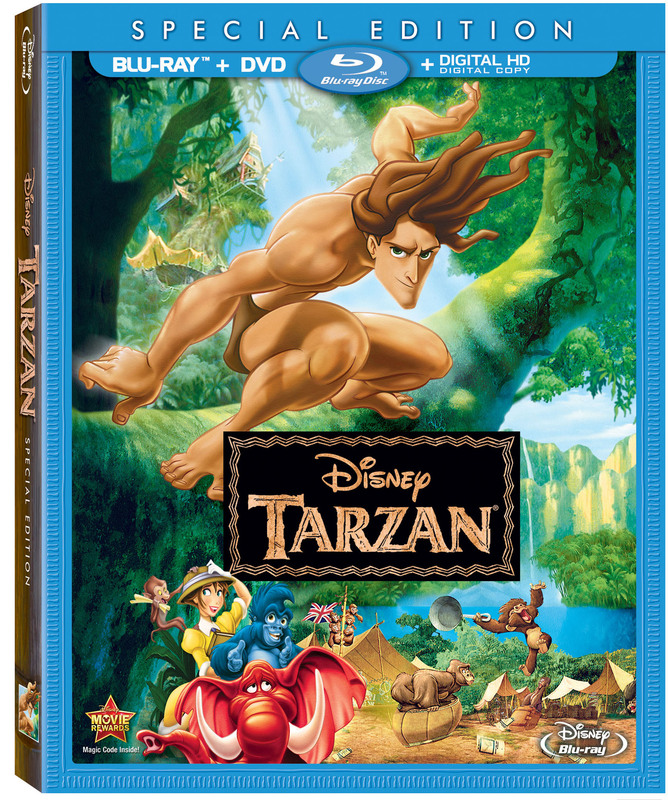 The special features are plentiful, so I won't list them here but you should know that these are not the "Diamond Edition" treatments of the more canonical Disney films. Pretty much the standard bonus material transported from the DVD releases of these titles, all making their HD debuts. Tom Hardy proves why he's one of the more critically popular stars of his generation with this one-man show about a man confessing his sins to those who know and love him while on a journey to meet the child his one-night-stand mistress is about to have. Locke has decided that he must be there for his offspring, even if it means losing his job and family. 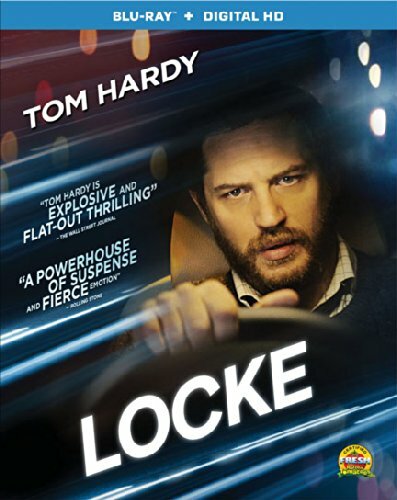 Steven Knight's film is a daring trick in that it doesn't quite stand up to suspension of disbelief (Locke could easily return by morning for his shift and could swing by home to deal with telling his wife in person) and yet still captivates at times through the sheer power of Hardy's screen presence. There are few actors who could pull this off. He's one of them. "Scream Factory, the genre-based offshoot of DVD/Blu-ray company Shout! Factory, has been cranking out a number of highly impressive special editions of a number of cult favorites over the last couple of years but this release of Brian De Palma's brilliant 1974 musical-horror-comedy is one of the very best of the bunch. The film—an inspired and occasionally quite prescient amalgam of "Phantom of the Opera," "Faust" and the excesses of the rock music industry in the wake of Woodstock and Altamont—is just as fresh and audaciously entertaining as ever with its blend of sly satire, hypnotic cinematic style (including a hilarious quote from "Touch of Evil" in one key scene), strong performances (including the late De Palma regular William Finley as the title character, a cruelly disfigured composer trying to protect his work, Paul Williams as the monstrous Phil Spector-like music tycoon who has stolen everything from him and Jessica Harper, making her debut in the first of what would be several appearances in quirky musicals of the era, as the talented unknown singer who comes between them) and a song score from Williams that is both undeniably infectious and surprisingly complex. And yet, when it was released, it tanked at the box-office, though it has gained a considerable following over the years. 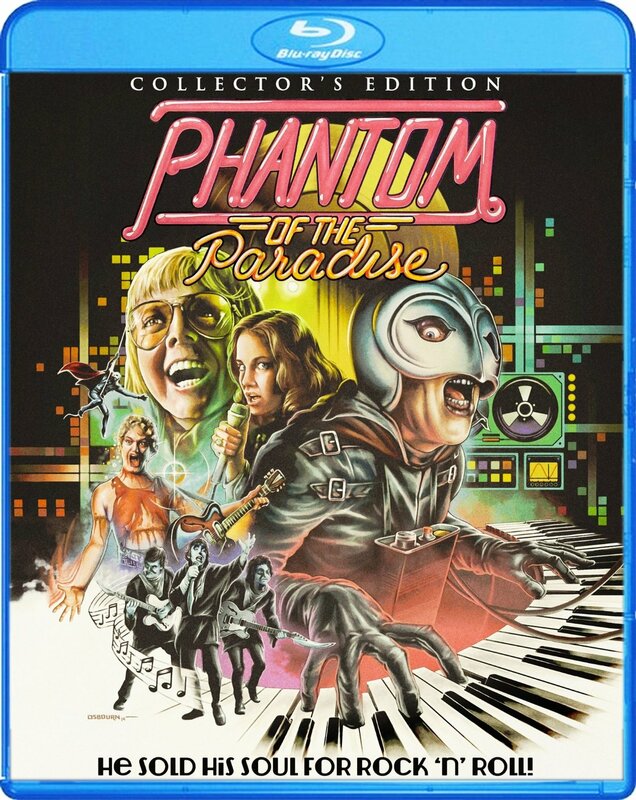 That fan base will no doubt be thrilled with the extras-packed edition that Scream Factory has provided after making do with the half-hearted bare-bones versions that have previously appeared over the years. Although neither De Palma nor Williams appear on the commentary track (which features Harper and co-stars Gerrit Graham—hilarious as over-the-top rocker Beef—Archie Hahn, Peter Elbling and Jeffrey Comanor), both turn up for individual interviews—De Palma's is dry and analytical while Williams' is chatty and gregarious (and the latter turns up for another interview moderated by fan Guillermo del Toro). There is also a documentary that helps tell the long and convoluted behind-the-scenes story, including how a last-minute threat of a lawsuit from Led Zeppelin's manager over the use of "Swan Song" (a faux label in the film and Zepp's own label in real life) led to an 11th-hour recut that destroyed one of De Palma's central visual motifs, (there are also outtakes of the original "Swan Song" footage before all references were crudely replaced with shaky mattes reading "Death Records"), additional interviews with producer Edward R. Pressman, make-up artist Tom Burman and costume designer Rosanna Norton as well as additional alternate takes. For fans of De Palma in general and the film in particular, this Blu-ray is an essential purchase and for everyone else, especially those who have yet to experience it in all its glory, the entire package is a must-see." Three of the most interesting indie releases in theaters will also be available in your home as of tomorrow, including a film that Editor-in-Chief Matt Zoller Seitz believes to be among the best of 2014, "The Dog." Watch previews for all three below and check out services like Vudu, iTunes, or Amazon to watch the films.